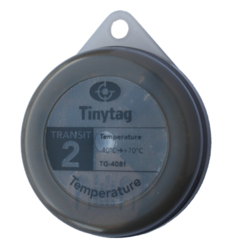 This is a multi pack of five Transit 2 TG-4081 temperature loggers. 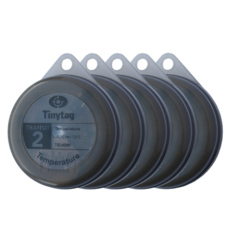 These cost-effective loggers have an unobtrusive grey case and are ideal for monitoring goods in transit. They monitor from -40 to +70°C and are tested to BS EN 12830 for frozen and chilled foods storage and transportation. Data can be downloaded via a USB cable, or for large numbers, an optional ACS-3030 inductive pad facilitates the process. This multi pack effectively offers five loggers for the price of four. 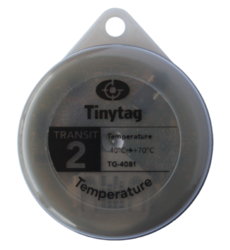 These loggers require Tinytag Explorer software, and a USB cable (CAB-0005-USB) or an inductive pad (ACS-3030).